Internationally acclaimed classical guitarist and composer Benjamin Verdery performs music by Bach, Villa-Lobos, and others. 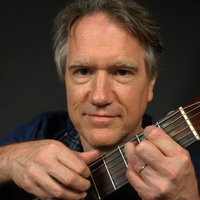 The concert features the UCSC Guitar Ensemble in a performance of "Scenes from Ellis Island" for 12 guitars, composed by Verdery, who will conduct the piece. The New York Times describes Verdery as “an iconoclastic player,” and Sound Board Magazine calls him “an American original, an American master.” Hailed for his innovative and eclectic musical career, Verdery has taught at Yale School of Music for over three decades.